In major cities all over Brazil—São Paulo, Rio de Janeiro, Salvador da Bahia, Olinda, Recife—the penetrating rattle of a thousand pandeiros (Brazilian tambourines) has gone silent. The consumption of Skol, a popular local brew, has returned to normal levels. The Sambadrome longs for the steps and turns of Carnaval queens, muses, and destaques do chão (featured floor dancer). Carnaval 2016 in Brazil has come and gone, but Carnaval is just getting started here in town with the 16th Annual Brazilian Carnaval this Friday night at the El Rey Theatre. This year, Brazilian Nites Productions, which puts on the biggest Brazilian events and concerts in the region, along with Goldenvoice, will highlight the musical traditions of axé and samba. L.A.’s own bloco (block party) will feature the queen of axé , Carla Visi, straight from the axé capitol of Brazil, Salvador da Bahia. Other acts include Marcela Vasconcellos de Oliveira with Samba and More Entertainment and Marcos Mariano Silva and the Prakantar Band. But all that samba and axé will knock you on your bunda if your don’t load up on some Brazilian snacks. And this year, the Brazilian Carnaval has raised it’s salgadinho (savory pastries) game. 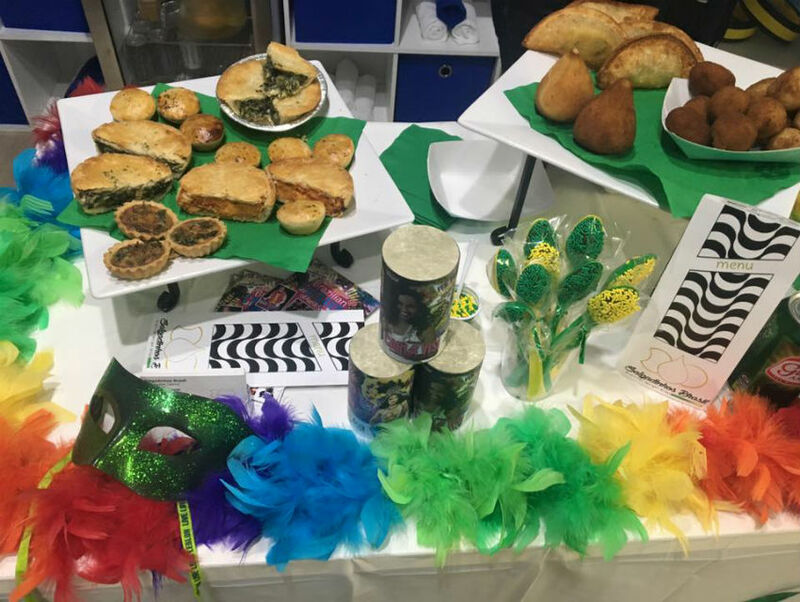 Brazilian standards like coxinhas (chicken croquettes) and other pastries like risolis, cheese bread, cheese balls, spinach pies, pork sandwiches ,and brigadeiros (Brazilian truffles), will be served by Tati Marques Salgadinhos Brasil, a local caterer. Do it like a Brazilian and grab a plate of savories and tiny packets of ketchup, mustard, and pimenta (Brazilian hot sauce), apply condiments to each bite, drink some beer, and repeat.